You can find them at the dairy section of your local Publix. 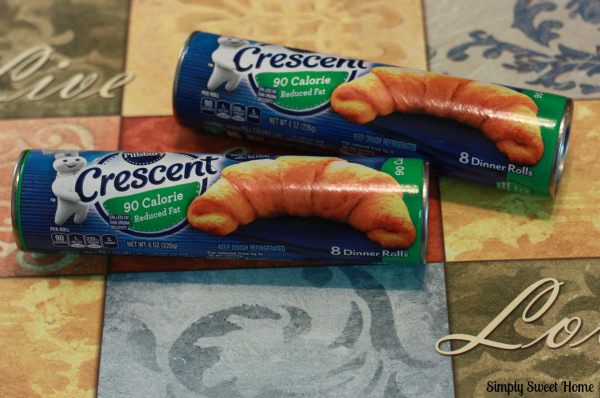 Right now you save save $1 on any 2 Pillsbury Crescent Rolls. Just download this coupon. 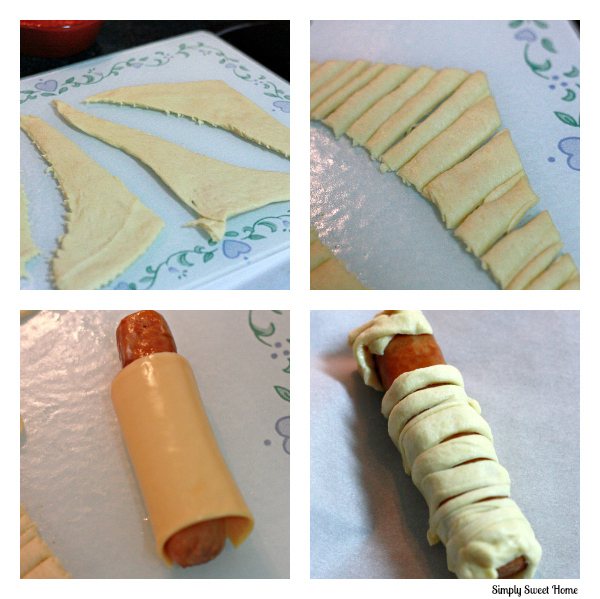 Then wrap pieces of crescent dough around your hot dog to make it look like a mummy, as shown. Place your mummy dogs on a greased cookie sheet or a cookie sheet lined with parchment paper to prevent the dough and cheese from sticking. *Personally I like using the parchment paper. It never fails! And it is mess free! Place your mummy dogs in the oven and bake for about 15 minutes or until dough is lightly browned and baked through. Serve with ketchup, mustard, and other favorite hot dog toppings! I hope you will try these out. They were super fun to make and eat! 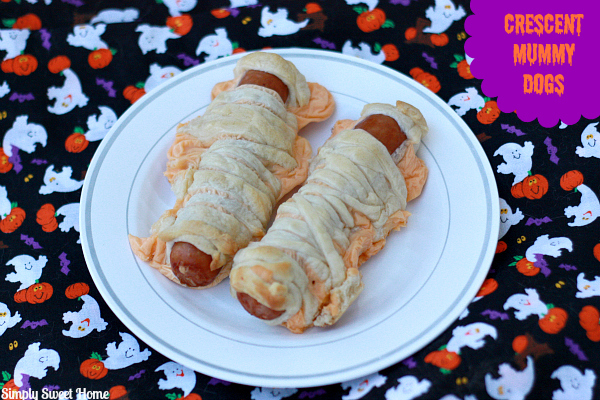 And if you’re looking for other ideas to make with the kids, you can also check out other fun Halloween recipes from Pillsbury. Win it! One Simply Sweet Home reader will win $10 via Paypal! To enter, use the Rafflecoptor form below. I have a verifiable paypal account, can I enter? I would like to try the Halloween Cookie Pizza. I would like to try mummy cookies recipe. I would also like to try the Crexcent Witch hats recipe. They are so cute and seem to be easy to make. I’d also like to try the Mummy Cookies. Halloween Cookie Pizza sounds great. I would love the Mummy cookies! Oh I would also love to make the Chocolate Crescent Witch Hats! I like the mummy cookies. I would love to make and try the Chocolate Crescent Witch Hats. I would like to make the spider web cinnamon rolls! Cookie Pizza! Witch hats are so cute too. on Earth” for a matchless and marvelous journey. If you wish to avoid the heat, don’t go in the period from March to June, but rather choose some point between October and February when the temperatures are much lower. My kids would love the mummy meatballs.